Farmers’ Markets: What Are The Top 10 Things NOT To Do? It’s getting to be peak farmers’ market season. 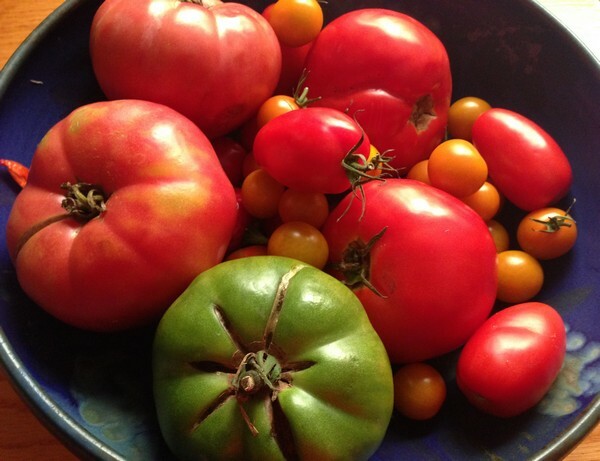 The Accidental Locavore thought it was a good time to re-run on of your favorite posts. During the taping of a cooking show I was talking to a couple of farmers who have been at the various farmers’ markets for years. Drunks, dogs and kids all run amuck. Women with cigarettes demanding to know if the produce is organic. Give yourself time to wander through and see what’s available. If you pick up a tomato to see how ripe it is, put it down, someone else picks it up, etc, etc., by the end of the day it’s essentially a tomato water balloon. Not good. Usually farmers are happy to let you taste berries. If you taste a berry and like it, take the box you picked the berry from. Don’t get a new box and don’t add more berries to the box you have. My big pet peeve at any market: shucking corn. It makes a huge mess. If you take it home shucked, it loses moisture and flavor. You’ve got nothing to grill it in, one of the best and easiest ways to cook corn. The way to see if an ear of corn is going to be good is to look at it. It should look fresh and moist, not dried out. 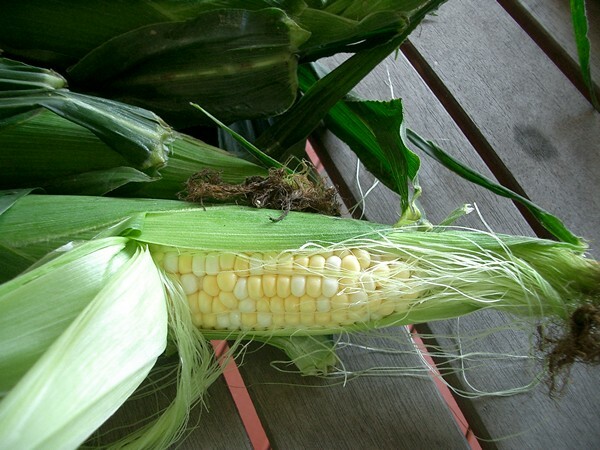 If you are a corn shucker, try picking one or two ears that look good to you. Take them home un-shucked and see how they compare to the ones you made a mess with. My history shows a 98% success rate just going for the good-looking ones. Talk with the farmers, they’ll welcome your appreciation of their hard work. In return, they will be happy to help you pick out the best stuff and often give you tips on how to prepare it. Remember, all this beautiful food is really labor intensive. It’s planted, weeded and harvested, primarily by hand. Trust me, these guys work hard, harder than you or I. If you think prices seem higher than at a big supermarket, be thankful you have access to the remarkable taste that only comes from something being picked that morning, at the peak of flavor. Not to mention the variety. Even at the best stores, you never see twenty different kinds of eggplants or forty varieties of tomatoes. Even if you are in a rush, hand the farmers the money. If you leave the money on the counter, leave it right in front of them so they don’t have to reach across to get it (or worse, someone else picks it up). And if you’re in that much of a hurry, chill (and stop shucking that corn). Would you leave an empty coffee cup or other garbage on the counter at Tiffany’s? Then why do you think you can do it at a farmers’ market? Because it’s outside??? All vendors have trash cans, usually behind the counter. Ask nicely and they’ll toss your trash. If you want cheap prices, to be able to run in and out, grab a handful of plastic bags and toss money on a counter, go to a supermarket (use the self-service line). Don’t complain that the veggies don’t taste good. 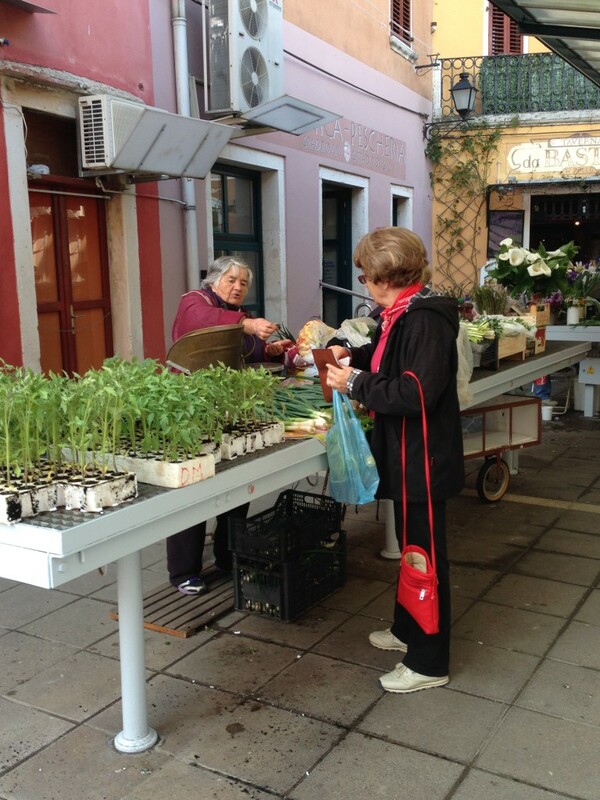 When you go to a farmers’ market, look for a more personal experience, a slower pace, an interaction with the people who spend their lives bringing us great food to eat. Don’t say you weren’t warned! Did I miss anything? Surprising how little manners some people can have, but still a good reminder for all of us! so brilliant to re-publish this — because it’s one of the very best and most humanitarian pieces you ever wrote! So unfortunate that people need to be told what is common sense, common decency. Glad I was brought up right. Good post. Not mine, yet…but soon I hope!